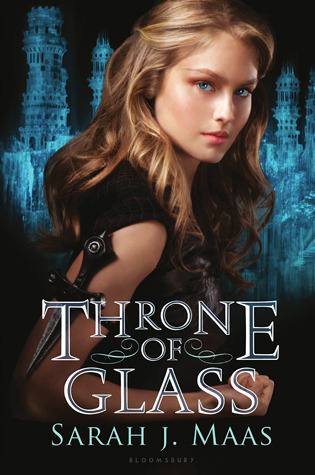 I know Throne of Glass was big a few years ago, but I kind of missed it. But I won the Spanish edition a couple of days ago and decided to give it an opportunity. It left me confused. I liked the story, with a powerful king and magic. But on the other side, Celaena, the protagonist, wasn't what I was expecting. Celaena has been a slave for a year, and it's a miracle she's still alive. She's an assassin, the best in her kingdom, and the King send her to be a slave so she would die. But when the young and handsome Prince Dorian offers her freedom, in exchange on winning a competition, she thinks it's better to be the King's champion than a slave. The story starts great. Celaena is in bad shape, but she describes us why is she the best and who trained her. The problem is that in this book, Celaena doesn't show us her abilities, and her personality doesn't go along with the cold hearted assassin I was expecting. She's only 18 years old and have been trained to be that way since she was a kid, suffering a lot, but she's still too immature, always gets surprised from behind, and she could have escaped a lot of times but didn't. It's a young adult book, and maybe that's why I couldn't relate with Celaena. She worries too much about dresses and parties to be an assassin. It's not that she can't have a feminine and childish side, but I thought I was going to find someone more mature and cold hearted. The competition she's obligated to play is against 23 men, the worst kind. The winner won't go back to jail or slavery, but will serve the King for a few years and then, freedom. Dorian, the Prince and her sponsor, choose her because he trust in her abilities, but there isn't a lot of explanation about that. Even though Celaena must hate him, being the son of the King who took everything from her, she likes him and I couldn't find a reason, because he isn't a strong in court or in battle. Chaol, the Capitan and good friend of the Prince, is a more mature character and the one who is really in charge of Celaena. A task a little bit fool for a captain. But between the three of them starts a love triangle, and love triangles aren't my thing. The competition ends up being secondary in the story because some of the competitors are being killed and their bodies found with weird marks. Nobody knows what those marks mean, and since magic is prohibited, it can't be something good. That's when the story gets more interesting, I know there is much more behind those marks and this book is only the tip of the iceberg. But, even when I didn't love the characters, the story was too interesting and made me read until the end. It isn't a perfect book, it could have been better, but I know there is more in this fantasy story to be discovered in the second book: Crown of Midnight. I haven't read any Sarah J. Maas books. I'll have to check this one out. It's a great series! I'm currently reading book #4 and it's great!